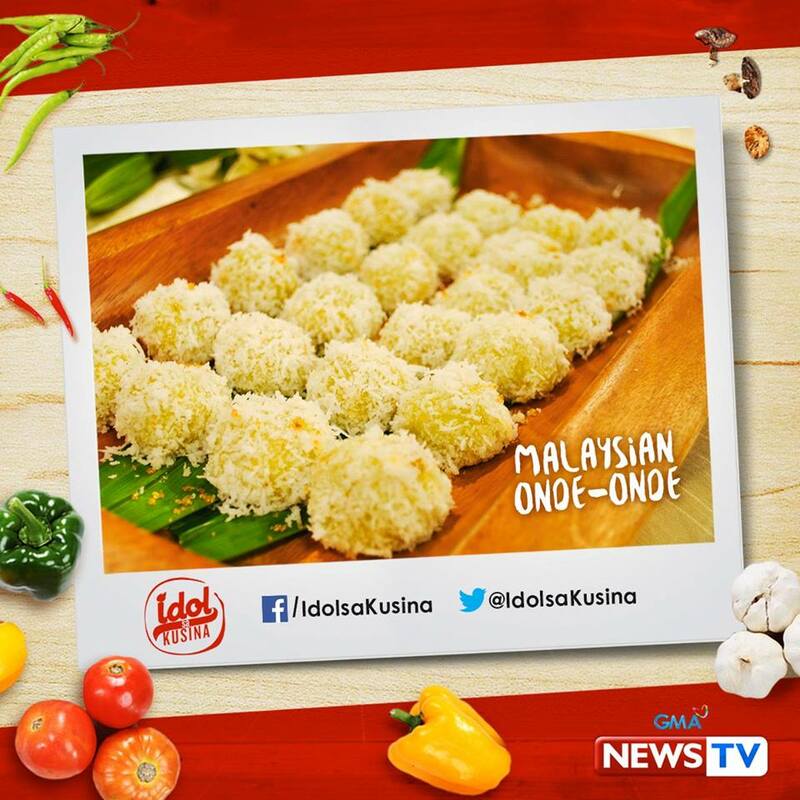 MALAYSIAN ONDE-ONDE INGREDIENTS AND PROCEDURES. 1. To make pandan juice, blend pandan 10 -20 leaves with 3 cups of water. Adjust water if necessary. 2. Bring a pot of water to boil. Prepare the dough. 3. In a bowl, combine glutinous rice flour and pandan juice to make a dough. Adding the pandan juice little by little and knead lightly. 4. Form the though into a small ball, flatten it then place palm sugar then roll it to form a ball. 6. Roll the cooked onde-onde to the grated coconut. Serve.